I liked them. I didn't have any problems, they knew exactly what needed to be done, and got me out quickly. They seem to understand that people have schedules, they know that people don't have all day to be at the dentist, and they work hard to make sure you are not there all day. He is awesome, pain free, super nice and super competent. He really listens to you. Dr. Luo is very kind. He is an excellent doctor and I have referred my wife and many friends to him. He is a very good doctor and super good at implants. Lei Luo, D.D.S. 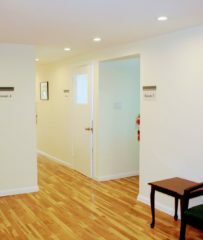 Family & Implant Dentistry provides general dentistry services for all types of patients (including children) at its San Bruno facility. 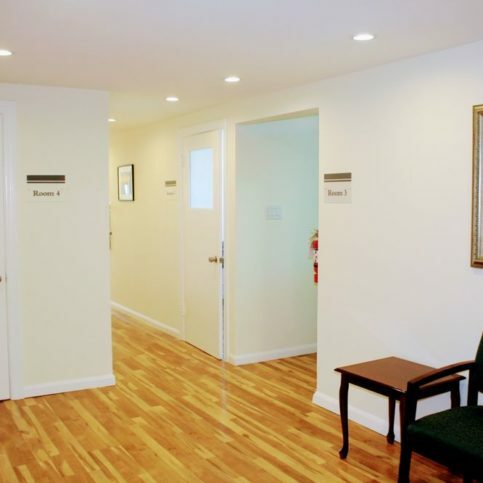 The practice has the training and equipment to handle everything from routine cleanings and checkups to specialized work like root canal and gum disease treatments, and it also offers a complete range of dental implant services to patients who want to replace missing or extracted teeth. 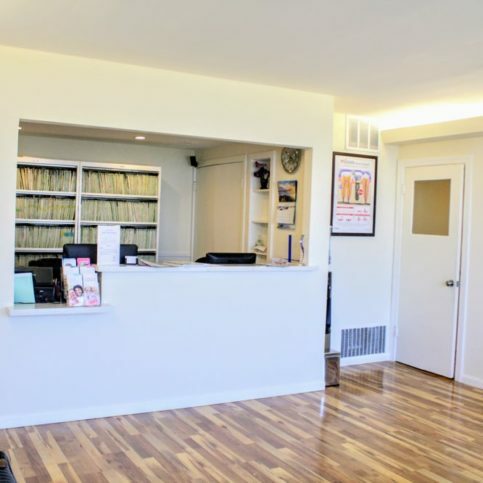 Dr. Luo and his staff have been providing general dentistry services for all types of patients (including children) at their San Bruno facility since 2005. 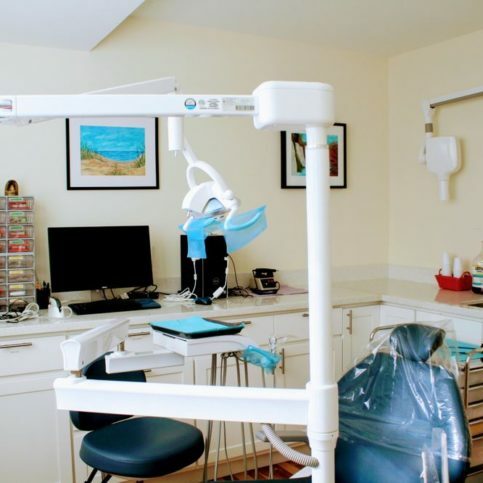 They have the capabilities to handle everything from routine cleanings and checkups to specialized work like root canal and gum disease treatments, and they also offer a variety of dental implant services to patients who want to replace missing or extracted teeth. Dental implants can improve your smile and quality of life. In the past, the only options to replace missing teeth were dental bridges and dentures. Today, dental implants are a popular and effective replacement for missing teeth. With dental implants, dentists install artificial teeth onto metal posts that are surgically implanted into the patient’s jawbone. Over time, the implants fuse into the bone and become sturdy and permanent. While bridges and dentures are removable and can shift even when the wearer wants them to stay in place, dental implants give patients a sense of security and confidence. Eat better. Missing teeth make eating harder, and dentures and bridges are often uncomfortable to wear while eating. Chewing can be hard, and sticky or crunchy foods can be problematic. Because dental implants work like natural teeth, eating becomes easier. Talk better. Dentures and bridges can slip and shift, which can cause wearers to slur, mumble or talk differently. Because dental implants fuse with the jawbone, they’re permanently affixed and never slip. Look better. Dental implants are made to look, feel and function like real teeth. They can be shaped and colored to match your existing teeth, so no one needs to know they aren’t real. And they’re built to last for years—even a lifetime—with good care. Better self-esteem. Your smile says a lot about you, but missing or damaged teeth can be an embarrassment. Dental implants improve the look and function of your smile. Oral health you can smile about. Dental implants don’t require other healthy teeth to be removed to make room like some bridges do, so you can keep your natural teeth. Additionally, teeth implants are easier to care for because they can be flossed, brushed and treated like natural teeth. Q: What types of dental implant treatments do you offer? A: We use implant posts in crowns to replace missing teeth and restore patients’ dental function. A: Most treatments aren’t painful because there aren’t many nerves in the jawbone. In the case of a major treatment, you may have some pain for a few days, but it’ll subside quickly. Q: How quickly can you perform a dental implant treatment? A: We can do one-day treatments. We’ll remove all of the bad teeth and place the implants at the same time. We provide a fixed denture at that time so you can leave the office with a new smile. We can also do crowns and veneers in one day so you don’t have to walk around with a temporary crown. A: Yes, we have no-interest payment plans that range from six months to one year. We also accept credit cards. Q: Do you use state-of-the-art technology? 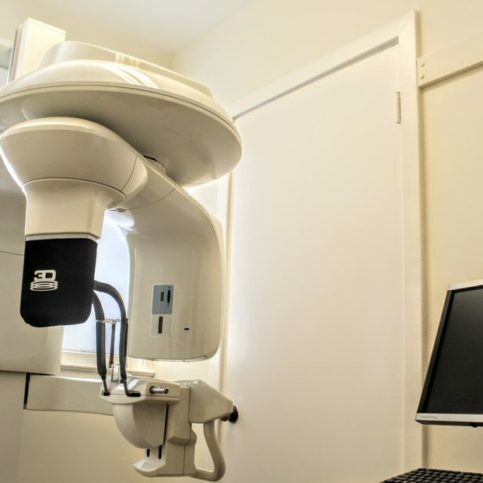 A: We have a 3-D x-ray imaging system that provides us with x-rays of the jawbone and the entire mouth, which we use to determine bone quality and make more accurate diagnoses. Dr. Lei Luo is president of Lei Luo, D.D.S. 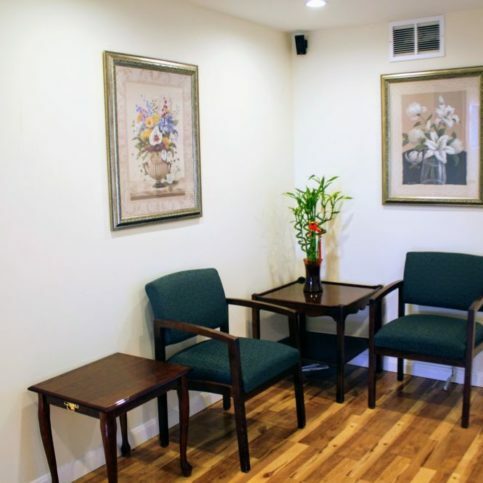 Family & Implant Dentistry, a Diamond Certified practice. He can be reached at (650) 525-4186 or by email. A: New England Lobster Market & Eatery in Burlingame. Dentures are removable prosthetics that have been used for years to supplement missing teeth. However, dentures are notorious for coming loose, shifting around in the mouth and being uncomfortable. Additionally, denture wearers commonly experience difficulty with chewing food. Bridges, on the other hand, are fixed prosthetics installed across the gaps created by missing teeth. While they’re a step up from dentures, their main drawback is they often require the removal of additional teeth for installation. Dental implants resolve many of the problems and inconveniences posed by dentures and bridges. First of all, since they’re fixed, they won’t come loose like dentures do, and since they function just like natural teeth, they make eating much easier. Also, dental implants don’t require any additional teeth to be removed for installation. Overall, dental implants provide a combination of looks and functionality that gives patients a greater sense of security and self-confidence. Diamond Certified Expert Contributor, Dr. Lei Luo: I would like to talk something about dental implants. And compared to traditional treatment to replace missing teeth, such as a denture, such as a bridge, the dental implant has very good advantages. And with a denture, the patients really don’t feel comfortable. And they cannot chew food well. And for the bridge, yes, it’s fixed. But we have to sacrifice the patient – no more teeth. And with dental implants, we don’t have to have the patient have no more teeth. And the patient will have fixed teeth or fixed bridge. And so, they can chew food very well, just like normal teeth. And also for a dentures patient and for traditional dentures, it’s not stable. And the patient absolutely cannot chew food very well. And with implants supported, fixed, the denture, absolutely. The patient will have very good chewing function restored and will have a high-quality social life. Lei Luo, D.D.S. 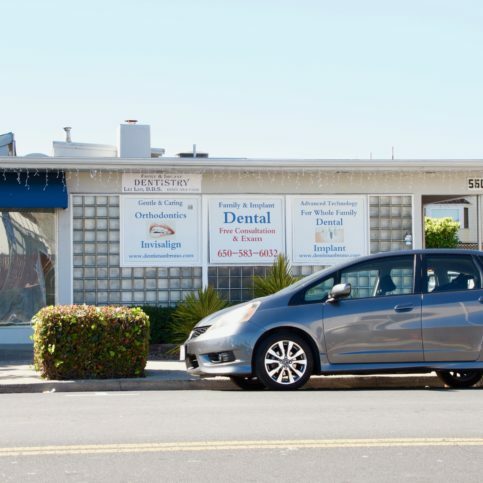 Family & Implant Dentistry : Average 9.2 out of 10 based on 66 unique customer surveys of customer satisfaction. My daughter loved him. They had ended up moving buildings sometime back, and they have always done great for us. He's just an overall good dentist. I have given others his name, his beautiful attitude is great, he is a very caring doctor. very friendly, honest, and very flexible, he tries to manage the problem even if you don't have enough money for the services. They were okay. I went in for a pretty bad problem, and ended up getting an extraction. They were okay. It was a routine check up, very standard. It was a quick appointment. The appointment was for my daughter, they were really friendly, and put her fear and anxiousness to ease. They are very good. They were very kid friendly. His treatment is pretty good. Send them there right away. We have referred several people to him. I was very satisfied. He's willing to answer any questions I have. He is patient and he has good expertise and a lot of experience. I like the kind of work that he does. He is a good dentist and he is thorough. He cares and he is thorough and he does a good check-up. He is a nice doctor and I would refer my friends to him. He is nice and very patient and he is very knowledgeable. 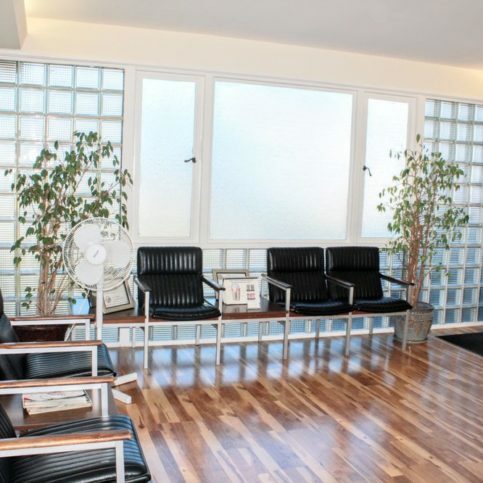 He is one of the best dentists in the Bay Area. I have used him several times. He is very knowledgeable. He is very patient and nice and he definitely knows what he is doing as a dentist. He is very pleasant and I have had him for so long. He is good and trustworthy. He gets the job done and he gets me covered quickly.